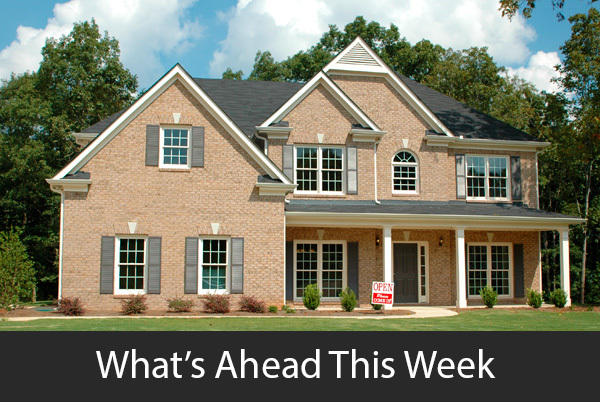 Last week’s economic news included readings from the National Association of Home Builders, Federal Reserve Federal Open Market Committee and a press conference by Fed Chair Jerome Powell. Sales of pre-owned homes in February were reported along with weekly readings on mortgage rates and new jobless claims. Home builders remained confident about housing market conditions in March. The NAHB Housing Market Index posted a reading of 62, which matched February’s reading and fell one point short of expectations. NAHB Index readings above 50 represent a positive outlook on housing market conditions. Home builders continued to face obstacles including high materials costs and lack of buildable lots and labor. Analysts said builders focused on building larger homes, which were not affordable for many prospective buyers. Monetary policymakers reversed course on raising the target range for federal funds and voted not to raise the current rate range of 2.25 to 2.50 percent. FOMC members cited global economic concerns including Brexit and wavering economic conditions in China. While the U.S. Labor sector was strong with ongoing jobs and wage growth and low national unemployment, FOMC members said that the Fed could be “patient” about raising rates and did not expect to raise rates in 2019. Slowing economic growth and inflation were reasons for holding interest rates steady. Fed Chair Jerome Powell described the current economy as “good” and said that the Fed would gradually roll back its accommodative purchase of treasury bonds. This news was likely to cause yields on 10-year Treasury notes to fall; this would cause mortgage rates to fall due to their connection with 10-year Treasury notes. The National Association of Realtors® reported 5.50 million sales of pre-owned homes on a seasonally-adjusted annual basis. February sales reading fell short of 5.12 million sales expected but were higher than the rate of 4.93 million sales in January. February’s reading was 11.80 percent higher than January’s sales. 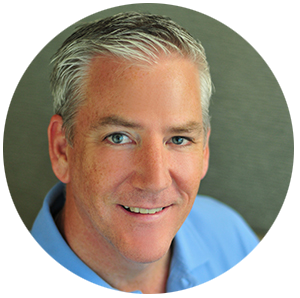 The sales pace was 1.80 percent lower year-over-year, but the median sale price of preowned homes was $249,500., which was 3.60 percent higher year-over-year. First-time buyers accounted for 34 percent of sales; this falls short of the typical 40 percent participation rate for first-time buyers. Affordability and strict mortgage qualification requirements continued to challenge first-time and moderate-income buyers. Freddie Mac reported lower average rates for fixed rate mortgages. 30-year fixed mortgage rates were three basis points lower and averaged 4.28 percent; Mortgage rates for 15-year fixed rate mortgages averaged 3.71 percent and were five basis points lower on average. The average rate for a 5/1 adjustable-rate mortgage was unchanged at 3.84 percent. Discount points averaged 0.40 percent for fixed-rate mortgages and 0.30 percent for 5/1 adjustable rate mortgages. First-time jobless claims were lower last week with 221,000 new claims filed. Analysts expected 225,000 new claims based on the prior week’s reading of 230,000 new claims filed. 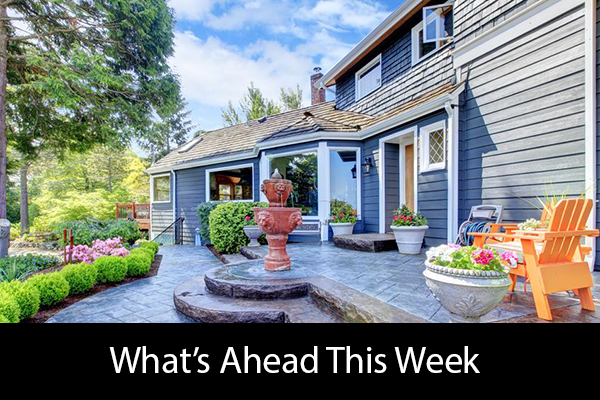 This week’s scheduled economic news includes readings on housing starts and building permits issued, new and pending home sales and inflation. Weekly readings on mortgage rates and new jobless claims will also be released. Last week’s economic reports included readings on retail sales, inflation and construction spending. New home sales Consumer sentiment readings were posted along with weekly readings on mortgage rates and first-time jobless claims. Retail sales rose by 0.20 percent in January; analysts expected an increase of 0.10 percent based on December’s negative revised reading of -1.60 percent. Home centers and internet retailers led in overall sales; retail sales without the automotive sector were higher with an 0.90 percent increase in January, which exceeded expectations of an 0.40 percent increase. December had a negative reading of –2.10 percent. Auto dealers had fewer sales to car rental firms and other business customers; the reading for retail sales excluding automotive sales rose 0.90 percent as compared to expectations of 0.40 percent more sales and December’s reading. Inflation rose 0.20 percent in February, which matched expectations after a flat reading in January. Core inflation, which excludes readings for volatile food and fuel sectors, rose 0.10 percent, which fell short of 0.20 percent in January. Commerce Department readings for construction spending rose 1.30 percent in January as compared to December’s negative reading of -0.80 percent. The end of the government shutdown likely helped return construction spending return to positive territory, but real estate and mortgage pros said that building more homes is the only solution to persistent shortages coupled with high demand for homes by would-be buyers. Slim inventories and home prices rising in excess of wages and inflation are factors contributing to fewer eligible buyers. New home sales fell in January, which is not unusual for winter sales. 607,000 new homes were sold on a seasonally-adjusted annual basis in January; 652,000 new home sales were reported in December, but analysts expected a lower reading of 616,000 sales for January. Freddie Mac reported lower average mortgage rates last week with rates for 30-year fixed rate mortgages averaging ten basis points lower at 4.31 percent. !5-year fixed rate mortgages averaged 3.76 percent after falling seven basis points. 5/1 adjustable-rate mortgages averaged 3.84 percent and were three basis points lower. Discount points averaged 0.40 percent for fixed-rate mortgages and 0.30 percent for 5/1 adjustable rate mortgages. Initial jobless claims rose to 239,000 new claims last week; 223,000 claims were filed the prior week and analysts expected 225,000 new claims. Last week’s first-time jobless claims were the highest in ten years, but analysts said that layoffs haven’t risen significantly, which signals healthy labor markets. The University of Michigan reported higher consumer confidence in March with an index reading of 97.80. The expected reading was 95.0 based on February’s index reading of 93.80. Increased consumer confidence in economic conditions suggests that more families will enter the housing market. Analysts said rising consumer confidence resulted from the resolution of the government shutdown. 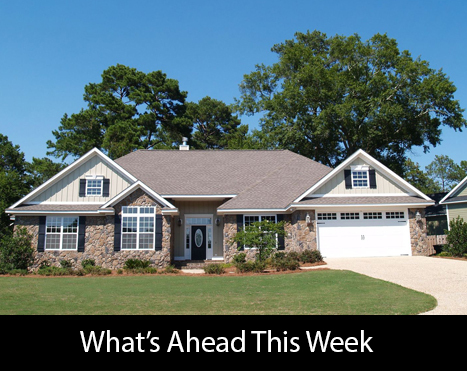 Economic readings scheduled this week include reports on homebuilder confidence in housing market conditions, sales of pre-owned homes and Commerce departments on housing starts and building permits issued. The Federal Reserve’s scheduled announcement will be followed by Fed Chair Jerome Powell’s press conference. 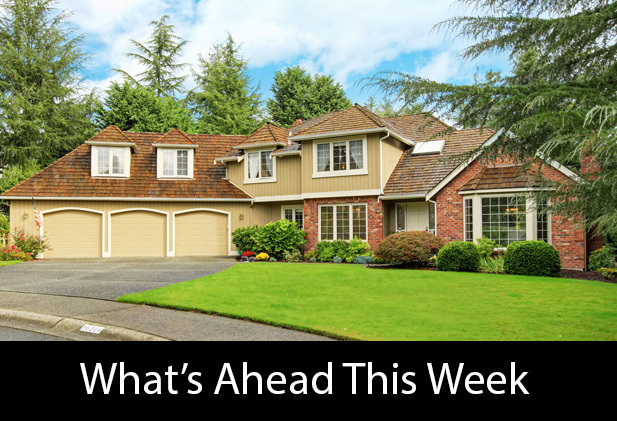 Weekly reports on mortgage rates and new jobless claims will also be issued. Last week’s economic news included readings on new home sales, construction spending, and housing starts. Data on building permits was released along with Labor Department reports on public and private-sector jobs and the national unemployment rate. Weekly readings on mortgage rates and new jobless claims were also released. Commerce Department data for December indicated less construction spending than for November. Construction spending dipped by -o.60 percent as compared to analyst expectations of a negative reading of -0.30 percent. Construction spending grew by 0.90 percent in November. Lower cash outlays for winter months are typical; severe winter weather likely slowed construction activity more than usual. Any downturn in building activity pressures housing markets that continue to struggle with short supplies of available homes and high buyer demand. Sales of new homes rose in December; the Commerce Department reported 621,000 sales of new homes. Analysts estimated 600,000 sales based on November’s reading of 599,000 sales of newly-built homes. December’s reading was 3.70 percent higher than In November and was 7.00 percent lower year-over-year. Housing starts increased in January with 1.230 million starts annually, which was an 18.60 percent increase from December’s downwardly revised reading of 1.037million starts. 1.215million starts were expected. The revision of December’s reading contributed to the jump in January housing starts. Single-family housing starts rose 25 percent at a pace of 926,000 starts reported. Building permits rose by 1.40 percent in January to 1,345 million permits issued as compared to December’s reading of 1.326 million permits issued. Freddie Mac reported higher average mortgage rates last week with rates for fixed-rate mortgages rising six basis points and the average rate for 5/1 adjustable rate mortgages rose three basis points. 30-year fixed mortgage rates averaged 4.41 percent; 15-year fixed mortgage rates averaged 3.83 percent and mortgage rates for 5/1 adjustable rate mortgages averaged 3.87 percent. Discount points averaged 0.50 percent for 30-year fixed rate mortgages, 0.40 percent for 15-year fixed rate mortgages and 0.30 percent for 5/1 adjustable rate mortgages. Initial jobless claims were lower last week with 223,000 claims filed; analysts expected 225,000 new claims based on the prior week’s reading of 226,000 first-time claims filed. ADP reported the lowest increase in private-sector jobs since November; February’s reading of 183,000 private sector jobs added reflected declines in jobs within the travel and retail sectors. The Commerce Department reported only 20,000 public and private-sector jobs added for February; this was the lowest reading in 17 months. Analysts cited severe winter weather and seasonal anomalies. Construction and shipping sectors were hardest hit in February. National unemployment dropped from 4.00 percent in January to 3.80 percent in February. This week’s scheduled economic news includes readings on retail sales, inflation and the latest reading on construction spending. Lingering effects of the government shutdown continues to impact data released from the Federal government. Weekly readings on mortgage rates and new jobless claims will also be released.